People have been coming through the blog pages posting and seeking information on Wyatt ancestors and relatives in the U.S., U.K. and distant places. That’s frustrating; whereas Facebook is the free and easy (and international) way to get together. This is our MAIN page on Facebook. I feed this one. Rationale; a.k.a. “why I’m doing this”. When my mother Beverly (Bolen) Lopez first told me she was researching the family tree, I expected she’d find bootleggers, petty criminals and a trollop or two. Mom worked on the family tree “old school” for nearly 20 years. She wrote letters, studied books and traveled to libraries and archives located within a few states of Michigan. When she hit roadblocks, she hired a professional genealogist. Damned if she didn’t find our line to and past Sir Thomas Wyatt and Elizabeth Brook via her father, my Grandfather – Edwin Bolen. Mom supplied “a skeleton” of names and dates; “thanks” to the economy, I finally have time to put some meat on the bones. Naturally, there’s plenty to be found on the internet; but I’m working on putting the best of it in one place. The best stories of our shared people, places and times – from Europe to Virginia and Kentucky. I’m not a genealogist, mom did all that. I’m not a historian. I am a professional writer and inspired descendant. PLEASE NOTE! When I blog, I care more about passion than precision! Give me the benefit of a typo or two; I will pay attention to the grimbly details later. Here on my blog I’m sharing the rough cuts, cool stuff, and “omigods”! At first I thought I would self-publish strictly for family; but it’s so much work, I decided to create a book I can share with everyone. So far I have found lords and ladies, kings and queens, conquerors and vikings! I hope I have time to see some of these places – Allington Castle (a Wyatt home for generations), Hever Castle (where Anne Boleyn – cousin of our Elizabeth Brooke – grew up) – and The Tower of London where a number of our relatives did some time. A few managed to leave with their heads. It blew my mind to hit the top level of Elizabeth Brooke’s line and find a Finnish connection. For me, that’s full circle, it takes my grandfather’s line up and around to an early Finnish line; my beloved grandmother was Finnish. I could feel the goosebumps. I have some opinions, of course. I am disturbed that our male ancestors got more press than the females. That’s ridiculous since it appears that our best pedigrees come through Elizabeth Brooke and Matilda of Flanders. My fellow Wyatt descendants, our ancestors have been honored and mocked, tortured and dismembered, crowned and recorded through history. Their romantic intrigues are spellbinding. Sir Thomas Wyatt and his wife Elizabeth Brooke had what we’d call an open marriage. He had a thing for his wife’s cousin, Anne Boleyn. Henry VIII interfered with that and LATER developed a “thing” for Elizabeth Brooke! Speaking of socially incestuous times – Matila of Flanders married William the Conqueror – her cousin! SHE ruled the land when he was off conquerin’. His love for her was epic; but it ended badly. In those cases where I find good descriptions of the people and their times from archival sources, I’m including the stories INTACT. I have three reasons for that – the stories are beautifully told in classic style, the books themselves are rare/hard to find and there are no copyright issues. A few of the best are available at great expense. I’ll make notes so you can find them. What my mother found made her feel better about who she is. It has done the same for me and I have no doubt it will do the same for everyone who takes the time to learn more. The research is totally addictive. I will share the best of it; hopefully there will be something here for you and yours. 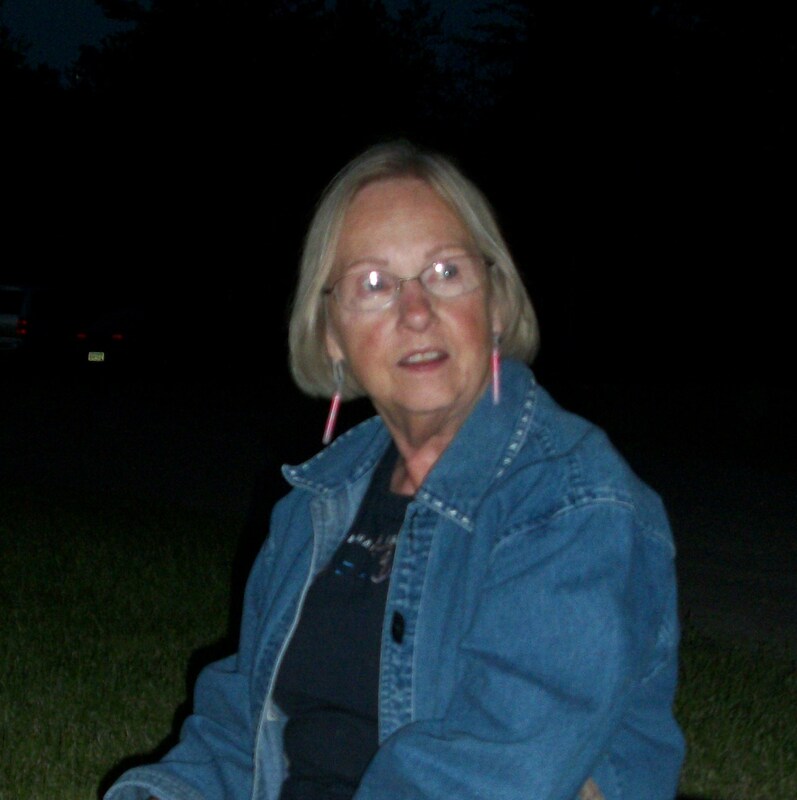 The photo of my mother was taken at the Bruce Crossing (Michigan) Fourth of July fireworks, 7/5/10.